The Tea Party movement burst upon the American scene in 2009 with such intensity that it frightened many Democrats. Former President Bill Clinton was afraid. We knew he was afraid because he began using phrases like, “right wing extremism”, “inciting violence”, and “espousing racist and radical views” when he talked about the Tea Party. Then, with his “Ahh shucks” down home drawl quavering just the tiniest bit, he invoked the Oklahoma City bombing. But he could offer no specifics to back up his concerns about the peaceful gatherings of ordinary citizens. Never mind that tea party patriots don’t set off bombs and run away like Timothy McVeigh did. (Perhaps Clinton was confusing them with Sixties radical Bill Ayers, who in his 2001 book Fugitive Days, recounted his life as leader of the Weather Underground, and boasted that he “participated in the bombings of New York City Police Headquarters in 1970, of the Capitol building in 1971, and the Pentagon in 1972.”) Nor will they ever chose to wear a T-shirt with a picture of Abraham Lincoln and the words, "SIC SEMPER TYRANNIS" ("thus ever to tyrants") shouted by John Wilkes Booth after his assassination of President Lincoln, as McVeigh did on the morning of the bombing. No, what they do is work hard, honor the constitution and clean up after themselves. But of course, Bill was scared. And when he’s scared, he tends to get a tad confused about how things really go down. Sometimes, Mr. Clinton, a tea party is just a tea party. By 2010, as the Tea Party Movement grew to include over 20% of Americans, encompassing all demographics of our population, Clinton decided to moderate his words to fit the times. We could tell he was feeling our pain when he said that he thought the Tea Party movement reflected a feeling by Americans that “they were getting the shaft”. But still, he felt their anger about spending, higher taxes, and the size of government was misplaced. It was, after all, the fault of the banks and Wall Street fat cats…and George Bush. Another vociferous critic of the Tea Party movement was former House Speaker, Nancy Pelosi, who had the audacity to try to label it “Astroturf”. Alas, attempting to call the most spontaneous and genuine movement since our early colonial uprising “Astroturf” was quite a stretch even for the former Madam Pelosi, one of the greatest advocates of all things plastic, and she would eventually be laughed out of her House seat largely because of her strident but unsupported claims that the Tea Party movement was created and funded by obese felines and the GOP. As the Tea Party movement grew and threatened Madam Pelosi’s grand plans, she grew so nervous that on at least one occasion she too became teary-eyed as she shakily confessed her fear of those right wing militia types, like grandmothers, hockey moms, working stiffs, and returning veterans who might become unhinged and do something terrible. Like recite the Pledge of Allegiance or sing the National Anthem or carry signs supporting our Constitutional rights. Some say this fear was the real reason she boasted about her readiness to pole vault over a fence to escape the wrath of these citizens. A courageous and daunting task for one of her advanced age, but do not worry. The former Madam has been pulled so tautly that she would surely bounce upon landing. By 2010, Madam Pelosi too felt the need to modify her denunciation of Main Street Americans. She was now claiming she had much in common with the Tea Party. We share some of the views of the Tea Partiers in terms of the role of special interest in Washington, D.C., as -- it just has to stop. And that's why I've fought the special interest, whether it's on energy, whether it's on health insurance, whether it's on pharmaceuticals and the rest. So, former Madam Pelosi, does that mean you are going to fight to rescind those special Obamacare waivers given to dozens and dozens of high end businesses in your district? Barack Obama, bless his heart, didn’t know the tea party was out there. Now some may say it is unfair to chastise him for his lack of knowledge of our American history. However, there were no tea bags back in 1773 when our forefathers became fed up with the greed and arrogance of the ruling British elite who mandated that the colonies must purchase only their tea and pay extra for the privilege of doing so. 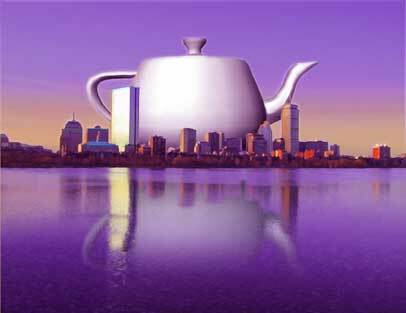 A group of independent patriots boarded the British ships and dumped boxes of that over-taxed loose tea into Boston Harbor. Although the current liberal elite may know a great deal about tea bags, Mr. President, you just might want to take a closer look at those folks. Those were American flags and copies of our Constitution the Tea Party supporters were waving. Fortunately, most Americans do understand what the Tea Party really represents. According to Tea Party Patriot and unhyphenated American Lloyd Marcus, the leader of the party and their top candidates for President is former Alaska Governor Sarah Palin. Sarah Palin is pretty much on the same page as most of us Tea Party Patriots, said Marcus. Drill Baby Drill, smaller government, and no new taxes. One must also add to that list her stance on strong defense, securing our borders, transparency and accountability in government, restoring and preserving our constitutional liberties, repealing Obamacare and cutting spending. What the liberal left fails to understand as, aided and abetted by the main stream media, they bloviate endless nonsense about it, is that the Tea Party is like a forest fire sweeping across the nation. The more hot air they blow on it, the more it spreads. A classic example is NBC’s Kelly O'Donnell, who tried unsuccessfully to play the race card while interviewing Darryl Postell, a black man at a Tea Party rally in Washington DC. She asked if he ever felt uncomfortable being a black man in the midst of “all those white people”. And in the distance, one can almost hear the voices of our founding fathers and our fallen heroes, past and present, echoing this praise.